Machine Learning is emerging as a serious technology just as mobile is becoming the default method of consumption, and that’s leading to some interesting possibilities. Smartphones are packing more power by the year, and some are even overtaking desktop computers in speed and reliability. That means that a lot of the Machine Learning workloads that we think of as requiring specialized, high priced hardware will soon be doable on mobile devices. This post will outline this shift and how Machine Learning can work with the new paradigm. Unsurprisingly, this trend is starting to impact Machine Learning as well. A lot of the cool new features that we love on iPhone – like face recognition in photos and FaceID – rely on ML, some of which takes place on device. But it can be challenging to implement ML models on edge devices. There are two major parts of the Machine Learning modeling process – training and inference. Training is usually the bulk of the work: you need to teach your model how to interpret data. The problem for mobile is that training can often be computationally heavy. Most deep learning models today train on specialized hardware like GPUs, and can take days or even months for large models or data. That’s why training usually happens in the cloud on powerful servers. While our smartphones aren’t fully ready for training large neural nets locally, some features and apps that we’re used to utilize a bit of training that happens on device. 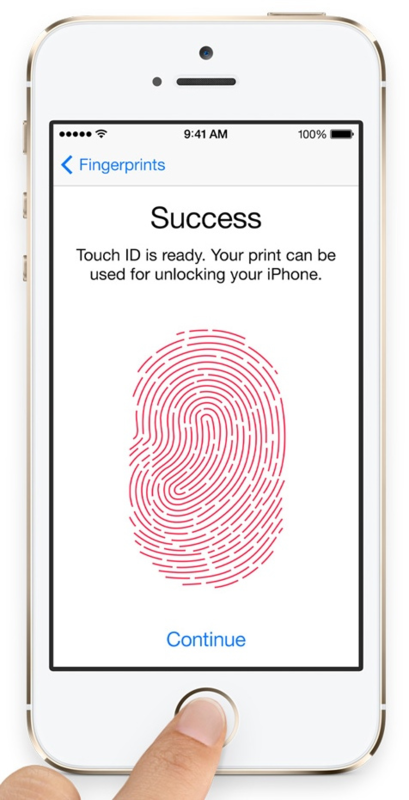 One of the most ubiquitous is Touch ID / Face ID, since Apple’s onboarding process actually walks you through the training. Apple’s predictive keyboard feature also uses on-device training, even though the model is on the simpler side. Inference – the second part of the ML modeling process – is where mobile devices are really starting to shine. Inference typically requires much less compute power than training (it’s really just a bunch of matrix multiplication), which makes it a much more realistic task for edge devices. In fact, most of the popular mobile deployment frameworks only support inference (more on those later). Carrying out inference locally is already popular in 2018. Most of the face detection that Apple deploys in the camera and photos apps happens on device. Listening for “Hey Siri” and that handwriting recognition feature for Chinese characters are also models that are doing inference locally. There are some tradeoffs to worry about with local inference, though. Storing all of your model parameters in your app – especially as deep learning models get larger and more complex – can take up a bunch of space (although Apple announced some new Core ML functionality that might help with this). And if you want to retrain your models and update them, you’ll need to update the whole application through the App Store. Finally, you’ll also need to create model versions that work for multiple devices: Apple, Android, Microsoft (they still make phones? ), and others. Navigating these tradeoffs is complex and dependent on what your goals are. The standard frameworks that developers use for Machine Learning (and deep learning in particular) don’t usually have a size focus, so they’re not great for deploying models on mobile (where size is key). But over the past few years, the open source community has worked on some solutions that port models into a more realistic form factor. Combine that with strong commercial solutions, and you should be able to find something that fits your needs. 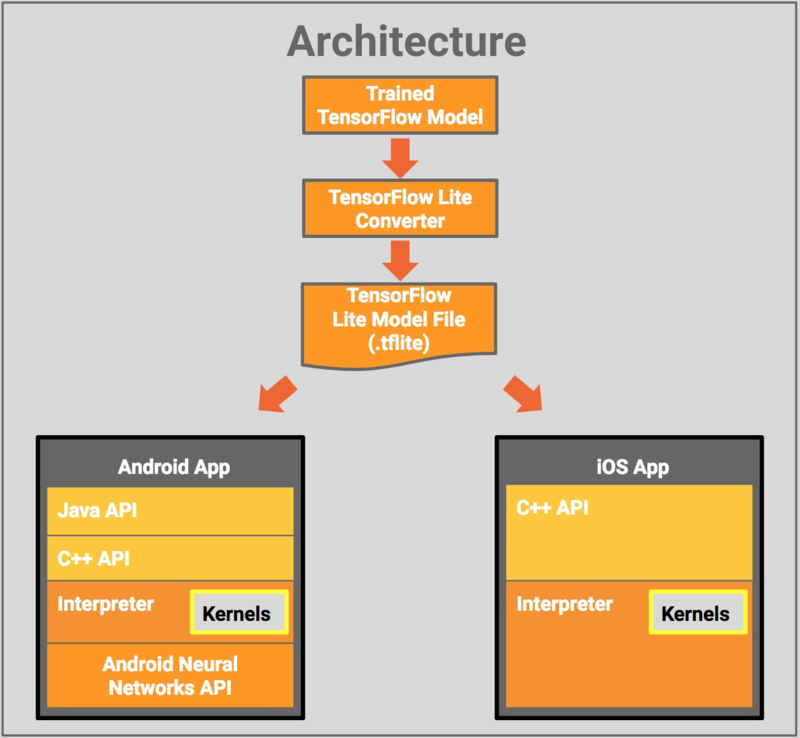 An extension of the ubiquitous TensorFlow, TensorFlow Lite is a framework for translating your models into more mobile-friendly versions. It focuses on low-latency, small model size, and fast execution. It’s still very early in the development cycle though, so you might see mixed results. Core ML is Apple’s solution for deploying ML on Apple devices: it lets you design and develop ML models for Apple OS apps, and then package them into the app bundle. Core ML supports conversion from many of the popular frameworks like TensorFlow Lite and Caffe2, and recently got a major performance upgrade at Apple’s 2018 WWDC. Well, this isn’t exactly a solution, since it’s not open-source (=available) yet: but according to the origin post, that’s on the roadmap. Caffe2Go is based on the popular Caffe2 framework for developing deep learning models. It stems from Facebook’s experience deploying ML models on mobile devices, and looks to be a promising solution whenever it’s released. TensorFlow Lite is Google’s framework for lightweight model deployment, but ML Kit is their hosted service for getting it deployed. ML Kit offers a few different APIs for popular use cases like Image Recognition and NLP, and is integrated with Google’s Firebase development platform. It works on both iOS and Android, which is a benefit over Apple’s local solution. As the mobile deployment paradigm becomes more popular, commercial solutions are getting started as well. Fritz is an end-to-end platform that helps teams convert, deploy, and manage Machine Learning models in apps. Platforms like Fritz enable you to avoid a lot of the common pitfalls around deploying ML models on mobile: you don’t need to be an expert in latency or compression, and you don’t need to develop separate models for each operating system.